Can victims of domestic violence secretly signal for help by drawing black dots on their palms? Victims of domestic violence can effectively send out a secret signal for help by drawing black dots on their palms. The black dot campaign is merely one person’s idea for helping victims of domestic violence; it is not an officially-sanctioned program, and it is not taught to police officers, doctors, counselors, or anyone else who may be able to help someone in an abusive relationship. 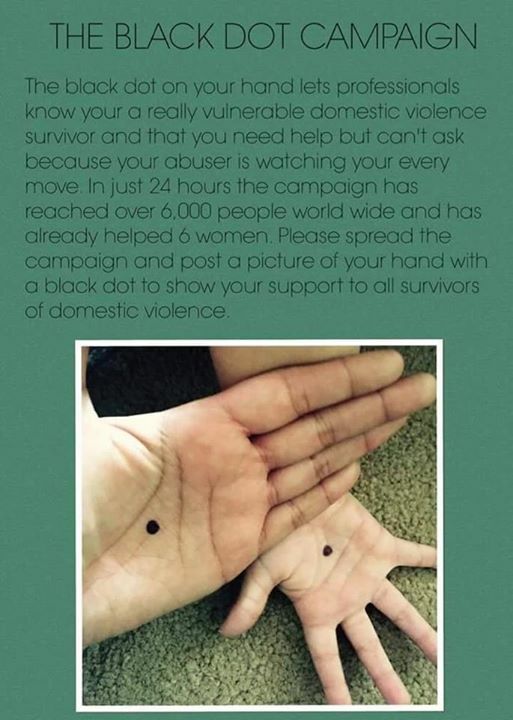 While victims of domestic violence can certainly draw a black dot on their palms, they should not rely on that symbol’s bringing anyone to their aid. 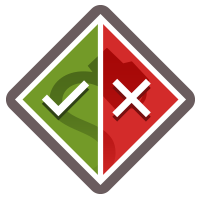 It should also be noted that this “secret way of calling for help” is no longer a secret: any abuser with Internet access may now be aware of the Black Dot Campaign, negating the primary purpose of the black dot method. “The Black Dot campaign is a very well-meaning idea, but a bad idea nonetheless. I believe that the woman who started the campaign is a survivor herself. The campaign is spurring conversations but there are better ways to go,” she explains. Project Sanctuary explained that victims could be putting themselves at risk by drawing something on themselves that their abuser could see. “Another issue with the campaign is that not everyone you flash the black dot to is connected to social media,” she continues. “The campaign is getting a lot of attention, so abusers may also be aware of it. They might question why their partner would have the dot on their hand. A well-meaning family member could also see the dot, and inadvertently compound the violence,” she explains. “The Black Dot was a way to silently tell someone that you are in a domestic violence situation, but when would it be appropriate to use it? At the grocery store? At the doctor’s office? Someone who was being completely controlled would be told by the abuser that they want to be in the exam room, so the victim would not be able to tell their doctor that they were in a domestic violence situation. Polkinghorne suggests that there are many ways for concerned friends and family to help a person whom they suspect might be in an abusive relationship. While the Black Dot Campaign may have been started with good intentions, it does not yet offer a safe and reliable way for victims of domestic violence to get help.